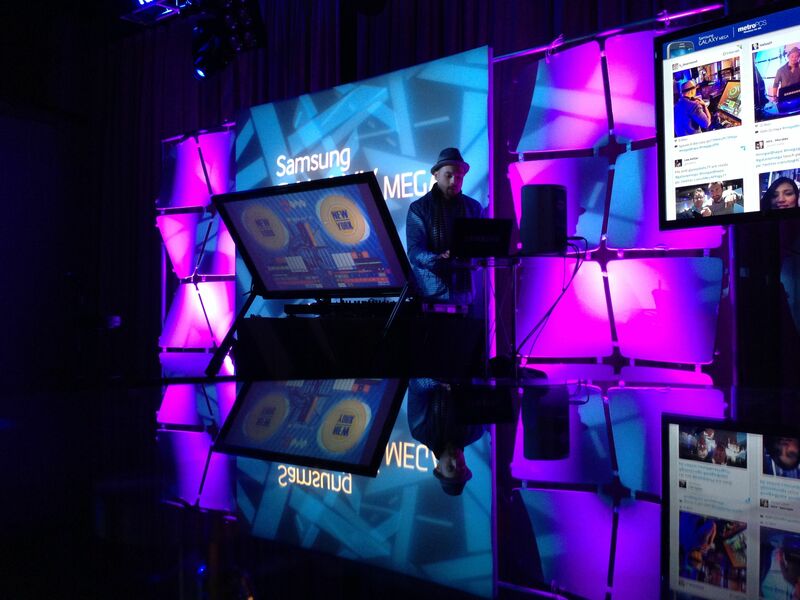 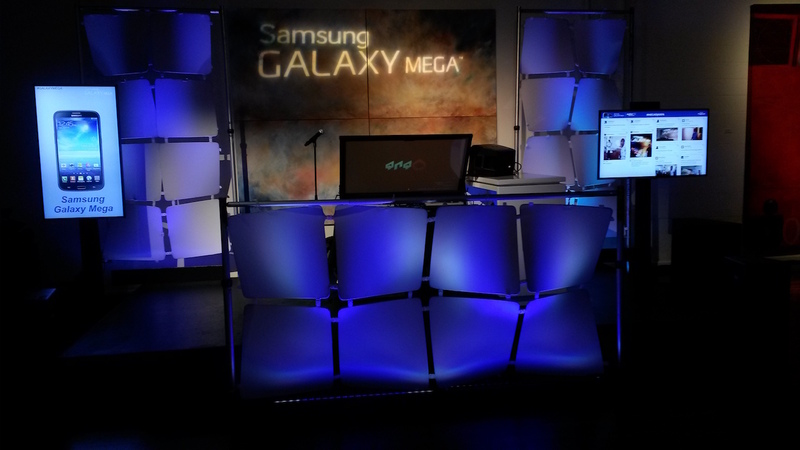 Scratch Events partnered with Samsung to produce a 5-city DJ tour, as a series of phone training events for the launch of Samsung’s Galaxy Mega device. 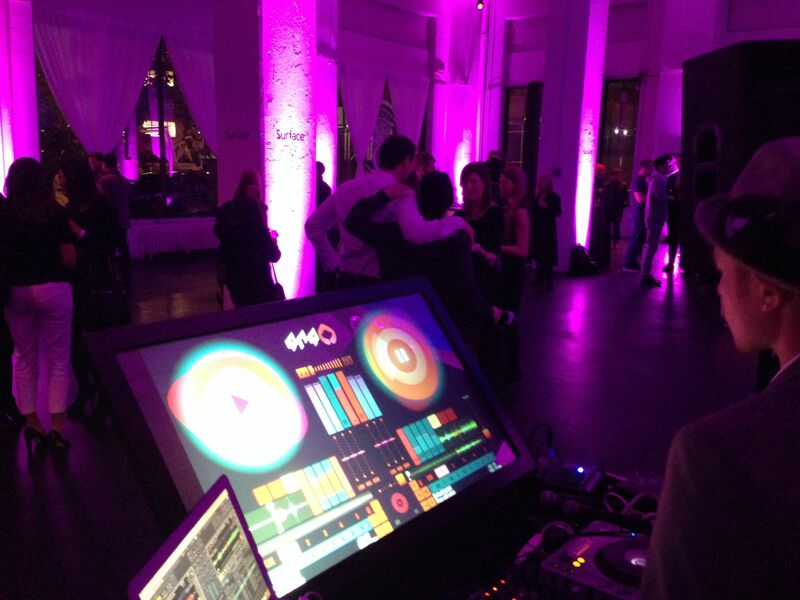 As phones are a mechanism for creating and sharing experiences, we wanted to create an interactive, immersive experience that cultivated employee excitement. 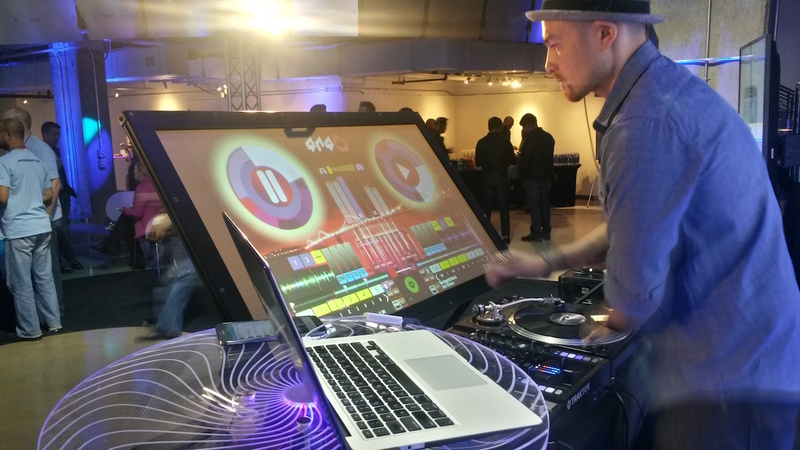 Scratch built a futuristic touchscreen DJ booth and performed a live collaboration with an electronic violinist and a DJ. 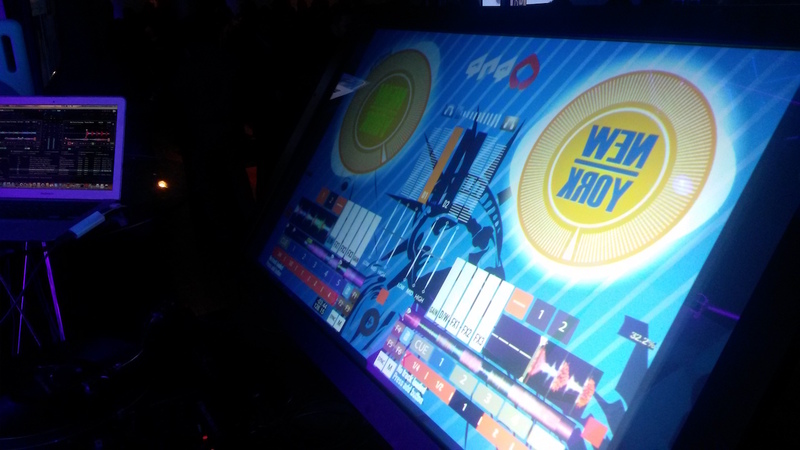 We also developed a custom DJ app to showcase the power and versatility of the Samsung Galaxy Mega. 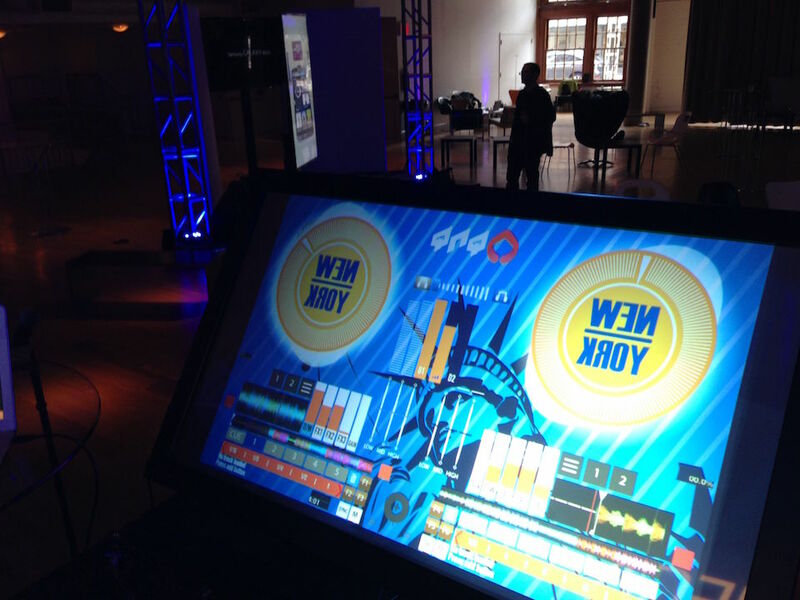 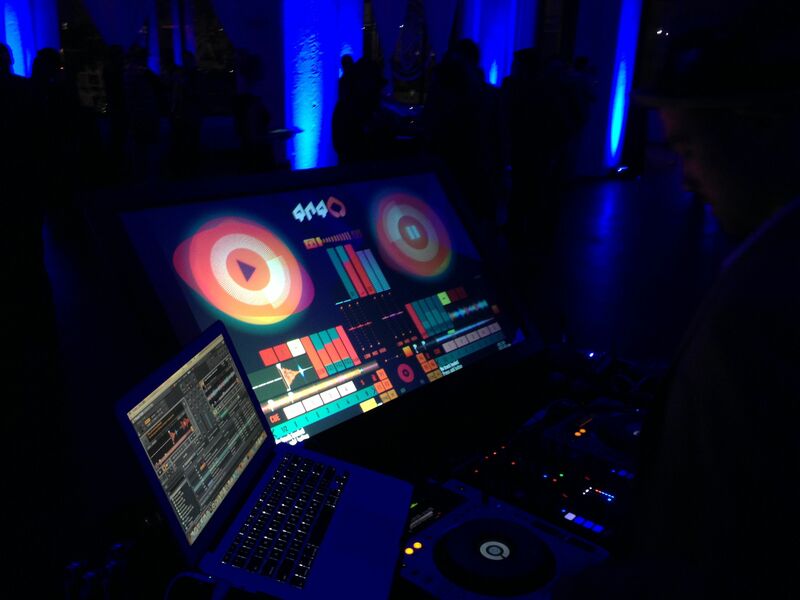 The app enabled the DJ to mix tracks on the Mega device from anywhere within the event space.